You can order by email, telephone or post but most of our customers prefer to use the simple and secure website ordering system. You can order through the website by clicking on the icon when viewing a book or DVD. This will add the item to your shopping cart and your cart will be displayed on the screen. 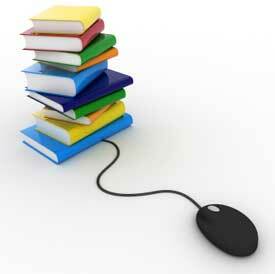 To exit the cart and return to the books your were viewing, click "continue shopping". Continue to add items to your cart as desired. You can view what is in your cart at any time by clicking on the icon. When you are ready to complete your order, go to your cart and click on the "go to payments" button. We charge postage at a rate of 15% of your total order for UK customers. Orders to Europe and other International orders are mailed with postage at cost, please contact us for details. We charge a maximum value of £7.50 for postage (£15 for NI / offshore). To calculate the postage charges due on your order select the appropriate shipping band in the box and click "recalculate order" to see how much it will cost. Please enter your name, invoice address and shipping address (if different to the invoice address). You can also give us your phone number - although this is not mandatory. If you give us your phone number, we can contact you should there be a query with your order. If your order is large and we need to use a courier, we will also pass your phone number on to the courier so they can contact you if they have trouble in locating your address. We use the secure paypal service to process payments. You do not have to have a paypal account to use this facility, most major credit cards are accepted. If you prefer to pay by cheque, this option is also available and will bypass the Paypal system. Please send us your cheque after you place the order and we will post your goods on receipt. We aim to process your order as soon as possible and in the majority of cases this will be done within 24 hours. We are a family business and there are many distractions (especially with eight children) so please excuse us if we do occasionally miss this target. If we are planning to be away from home for an extended period, we will put a message on the shopping cart to let you know that your orders will be delayed until we return.